The M. Toulouse Marielle Monoflap is ideal for Eventing, show jumping, and for anyone who wants a more forward flap and a bit more security, this Marcel Toulouse Platinum Marielle with Genesis adjustable tree is a smart choice. This Marielle Monoflap has a 4 cm more forward flap then the standard Marielle saddle, and it also features Wool STP panels to provide maximum comfort for the horse and can be reflocked for a different horse or as the horse changes. Available with a fixed tree in Medium or Wide, or the Genesis™ Adjustable Tree System, both with a 5 year limited warranty against manufacturer’s defects. Chocolate Sizes 16 1/2” - 18 1/2” Genesis Adjustable, and Medium & Wide Fixed Trees. 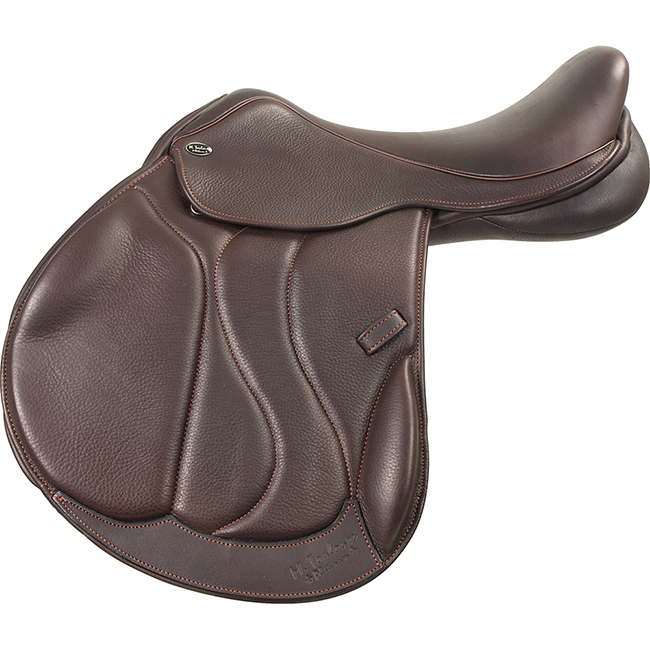 Regular flaps 4 cm more forward than the Original Marielle Monoflap saddle.